3 Responses to Melbourne: Speaking at Monash University, Nov 21. Can you drop in on Sydney?? Monash is a very special place in the transit planning world. 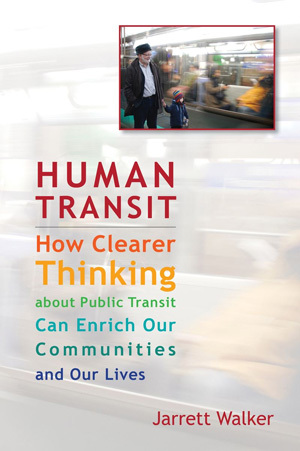 It is the university that Paul Mees uses as an example of where transit planners at one time failed, by telling riders they could not get good service, because the university is in a low density suburb. A few years ago, it was finally decided to provide a frequent service between the university and a nearby rail station, and now ridership is through the roof. Buses run about every 4 minutes to carry the loads. Great learning lesson on why planners need to stop punishing areas planners deem are not transit friendly, when all they need is good service. MB. It’s still a terrible location for public transport access. It is served, because it’s big enough to generate demand, but it has frequent service from only one side, far worse than you could expect in a more urban location. 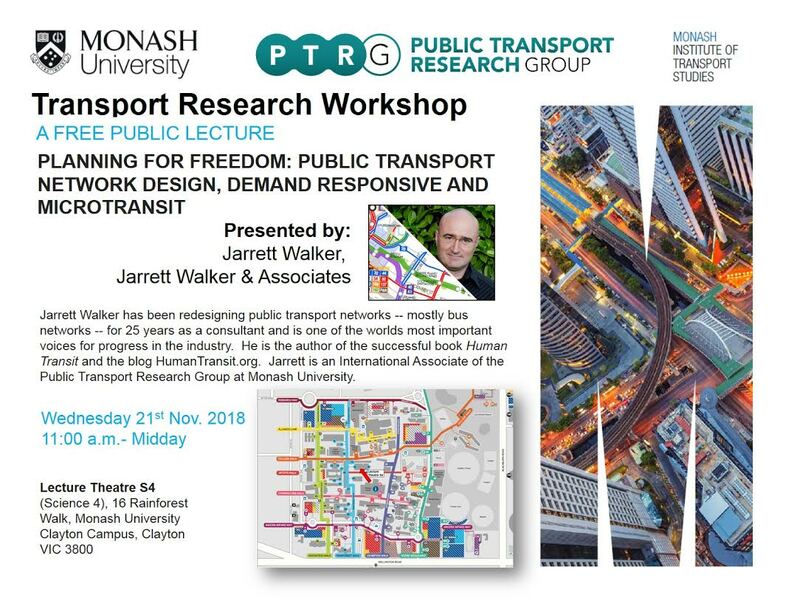 A well designed bus network would give it much more, but it would never be as accessible by public transport as urban campuses like Melbourne Uni or RMIT. Home › Events › General › Melbourne › Melbourne: Speaking at Monash University, Nov 21.